I first heard of, and visited Alan Wong’s back in 2014 in Hawaii. 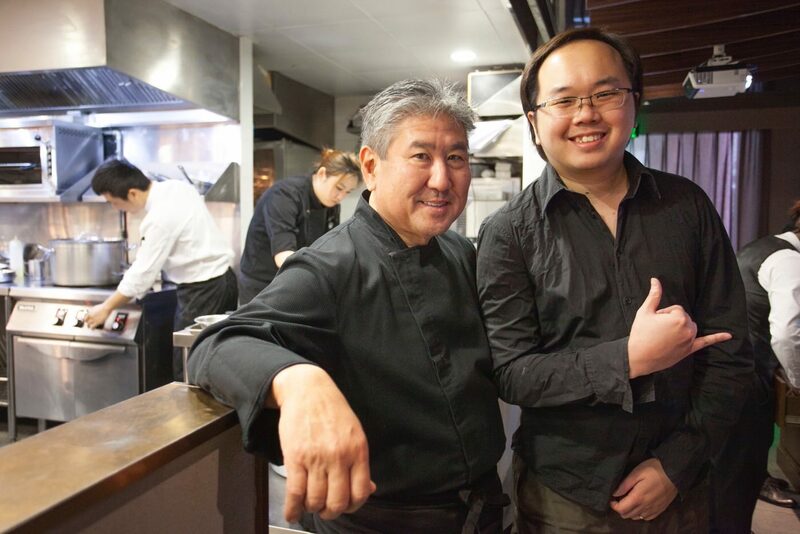 I had his tasting menu at his flagship Alan Wong’s restaurant in Honolulu. Fast forward to 2017, he had expanded to his first outlet in Shanghai. 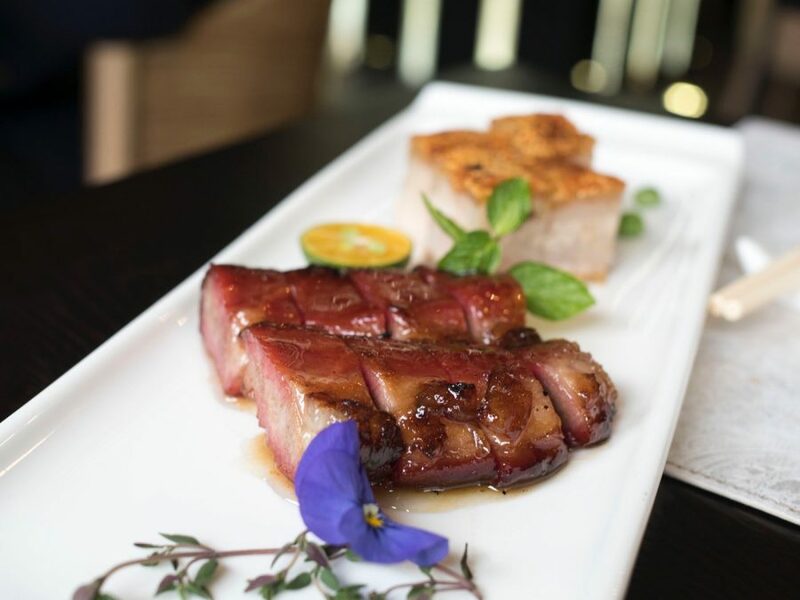 It took me awhile before heading down to the Shanghai Center to try, mostly thanks to executive chef Beth Cosgrove for urging and finally inviting me with a couple of my friends over. It all began with me posting excitedly about having a Loco Moco at Al’s Diner. She saw my post, and wanted me to try their version of the classic Loco Moco. That day ended up being Vlog Episode 5, and very fortunately, meeting Alan Wong himself, who was in town for the weekend. Enjoy the video! 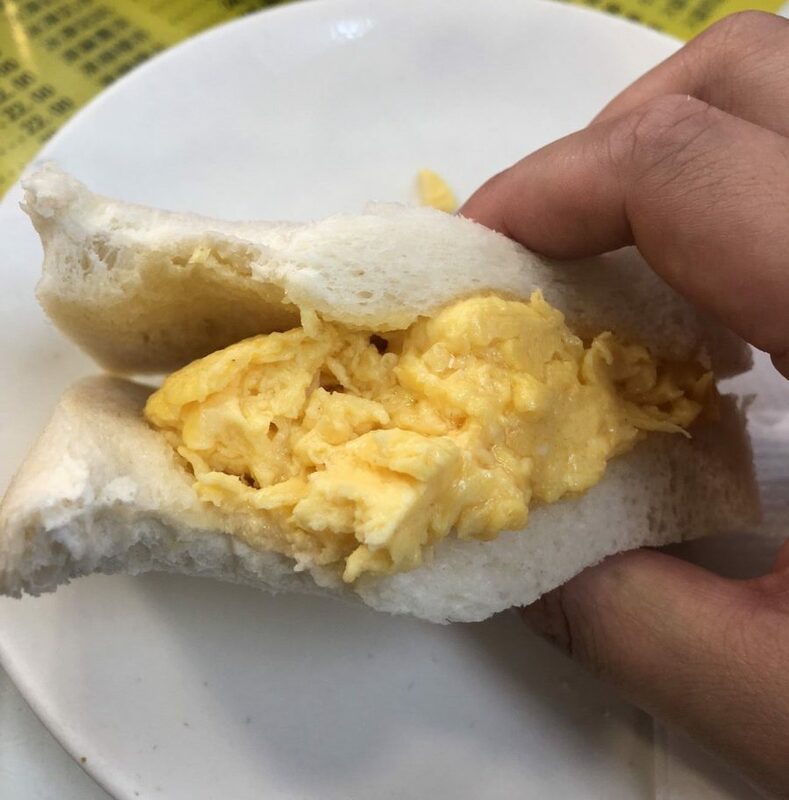 The rest of this post is a short summary and review of that experience and a subsequent lunch revisit at Alan Wong’s Shanghai. Disclaimer: This article was based on two visits, the first which was an invited tasting, whilst the second being a solo lunch. 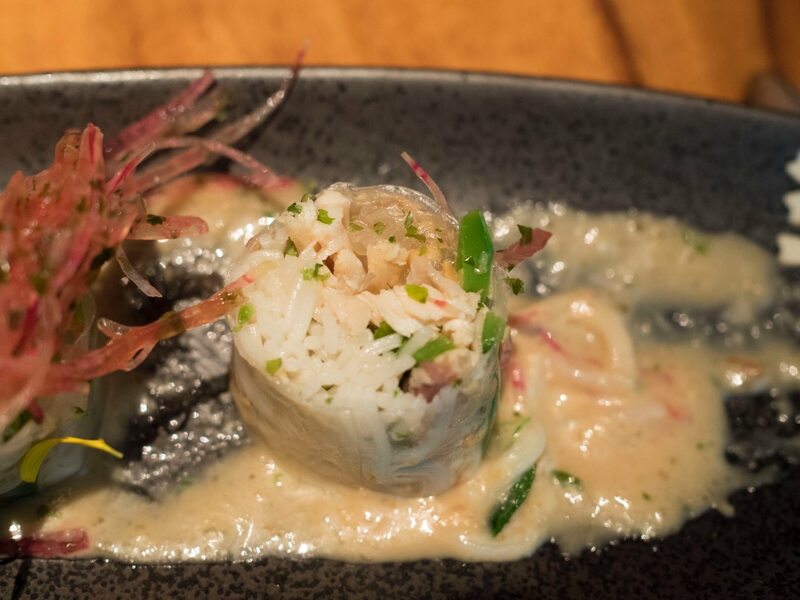 Take note that on our first visit, we were given a sampler of dishes off the dinner menu, as well as a couple of seasonal specials that may or may not be available on the a la carte menu. 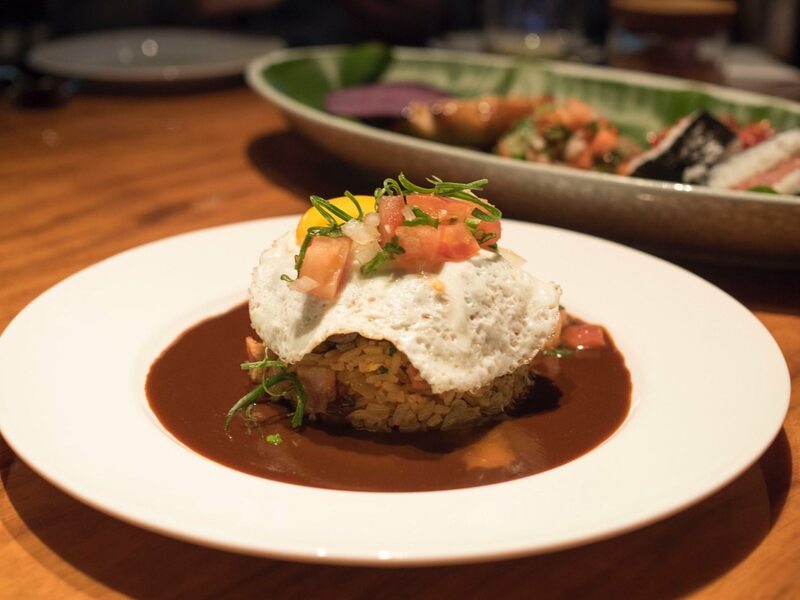 The Loco Moco on the lunch menu was later changed to a different version on my second visit. 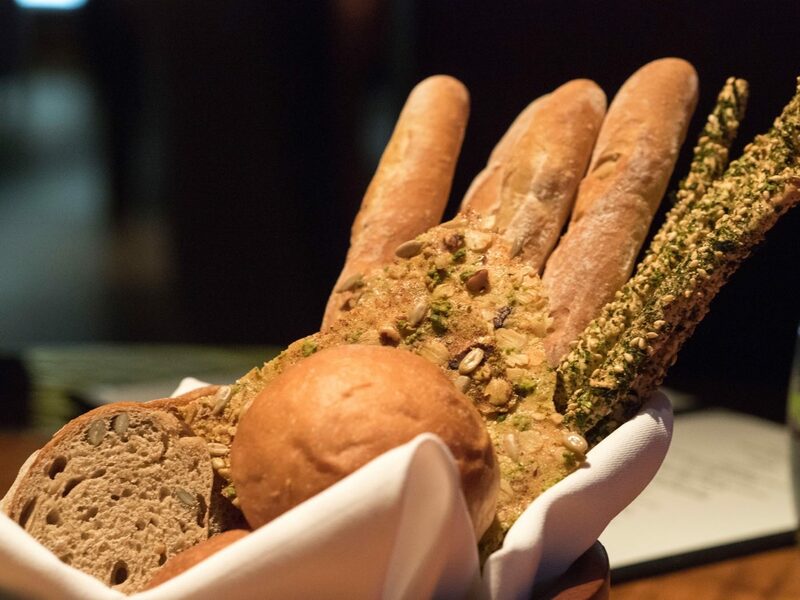 A selection of house-made breads are offered to every table. Bread arrived warm, which was always a delight. 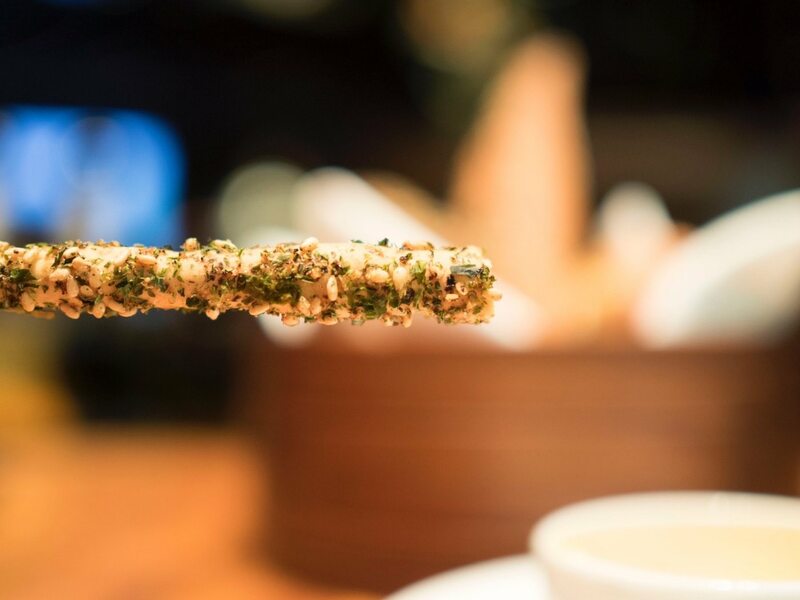 I especially loved the furikake dusted bread-sticks. These would be so lovely to munch on while watching a movie. 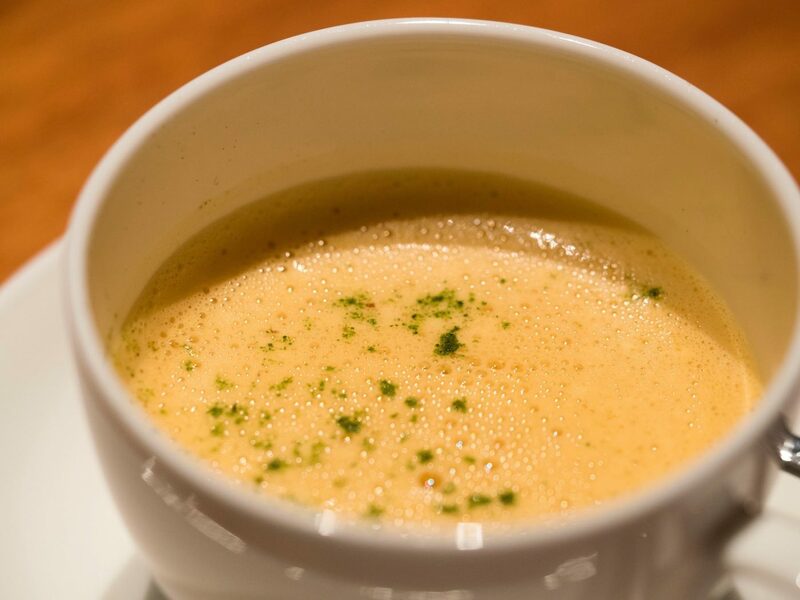 The lobster bisque I tried that day was flavourful and had a foamy airy texture. 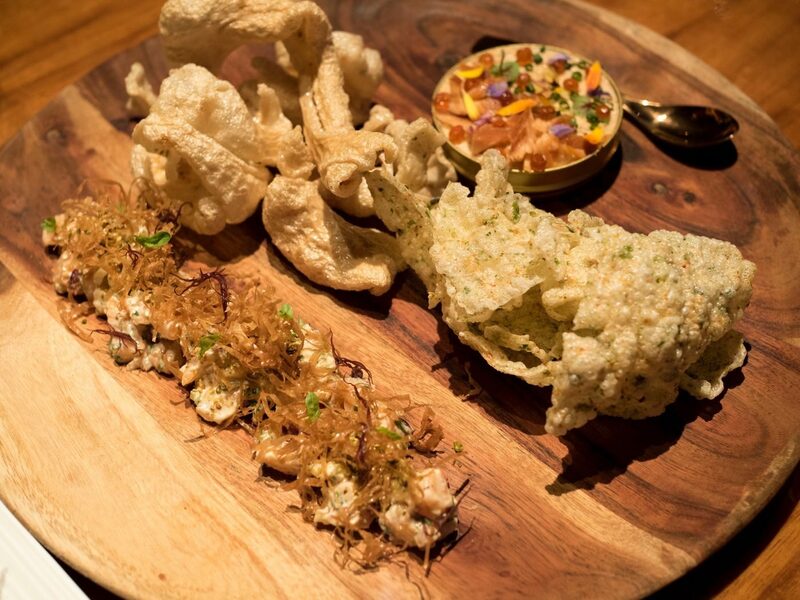 The platter consisted of salmon poke, a salmon rillette, rice crackers and beef tendon crackers. Some of these items were part of the special dinner event that weekend and may no longer be available on the menu. The salmon poke tasted bright and refreshing. Fish was fresh, and the mix had a citrusy flavour with a salty crunch from the addition of zha cai (sichuan preserved mustard greens). The rice crackers were quite normal, but it was the beef tendon crackers that took all of us by surprise. Did I heard wrongly? That was beef tendon?? Yes it was. Puffed up beef tendon. 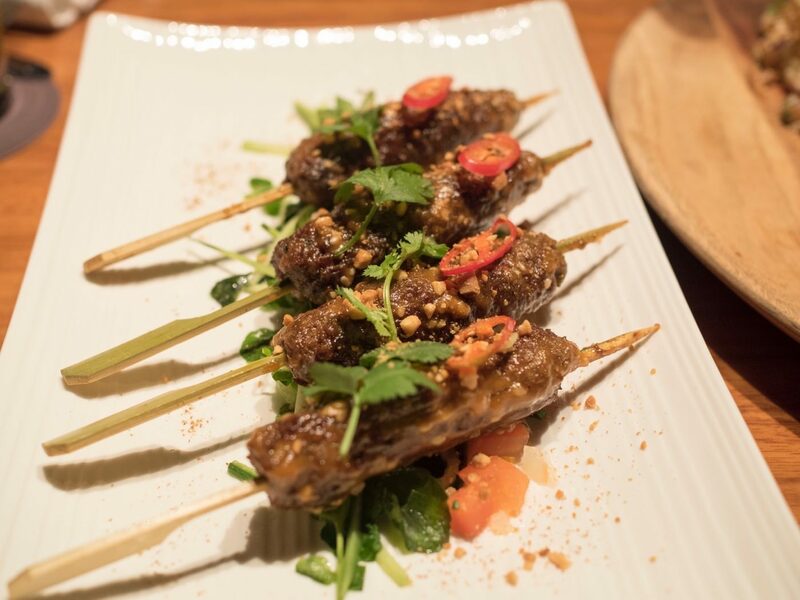 The lamb skewers were part of the daily set lunch offering as a choice of starter. Made in house using Australian lamb shoulder, I found the expected cumin flavours alongside moist and well cooked meat. 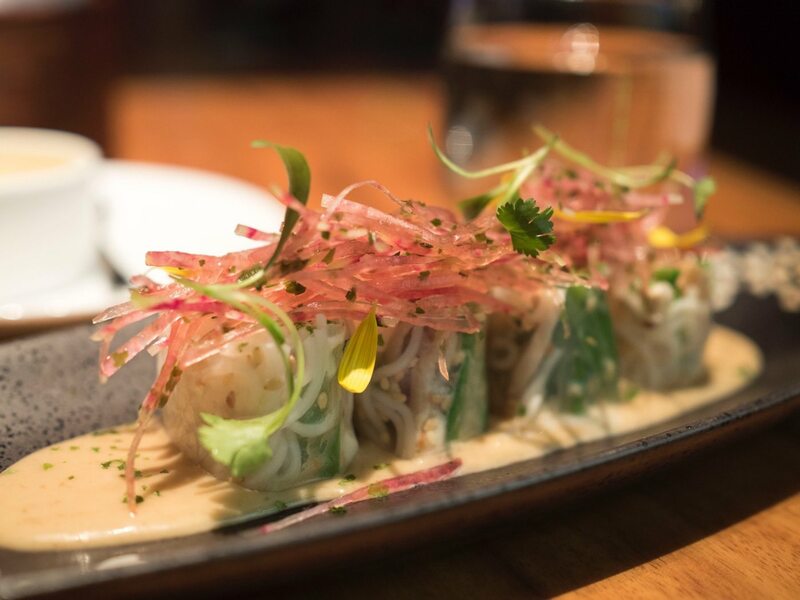 On my second lunch visit, the lamb skewers had been taken off the menu, replaced with a fresh somen spring roll. I later found out this was a vietnamese style rice paper roll. The shredded chicken filling was so tender that I initially thought that they were crab meat. This was a dish part of a special dinner menu. It may not be available any more. The beef was beautifully cooked and charred on the outside. Together with the very unorthodoxly paired and made XO sauce from Iberico Ham, the meaty flavours managed to come together harmoniously. The foie gras torchon was a pleasure to eat, it’s flavours so delicate yet fragrant. 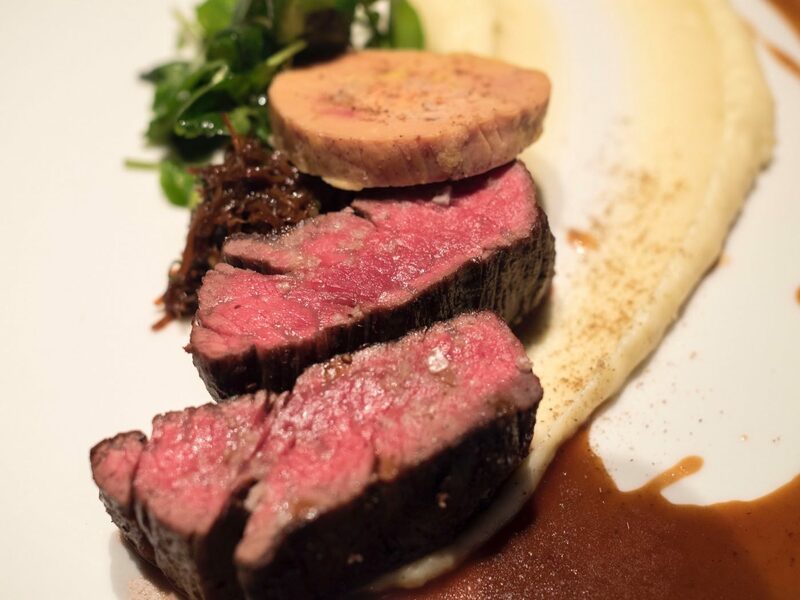 The foie gras gently melted away in the mouth within seconds. The last time I had a Foie Gras Torchon as good as this was at Cuivre. This was a very complex dish, with many flavours going on. I felt it had too much going on, and that there was a clash of ingredients trying to claim their throne on the palate. 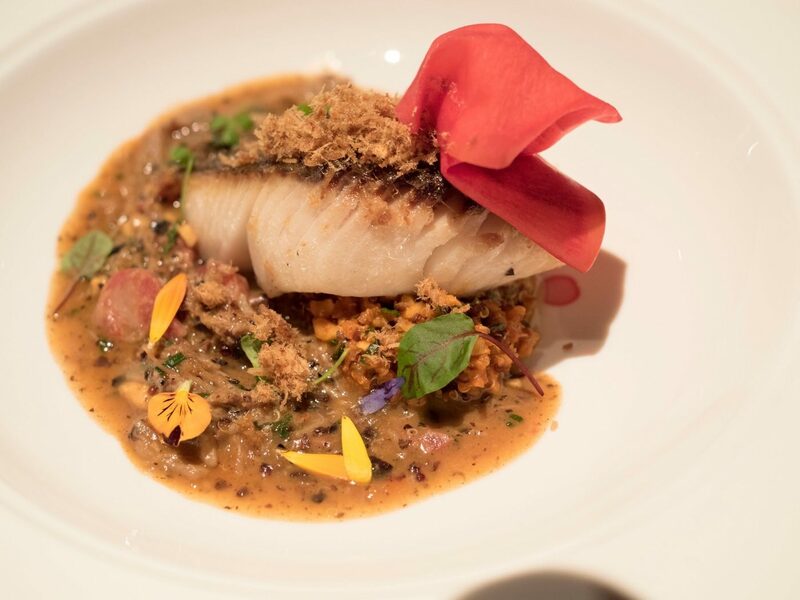 At the bottom of the Cod was quinoa with goji berry puree, toasted hazelnuts together with basil, coriander and spring onions. Yeah, way too much going on. 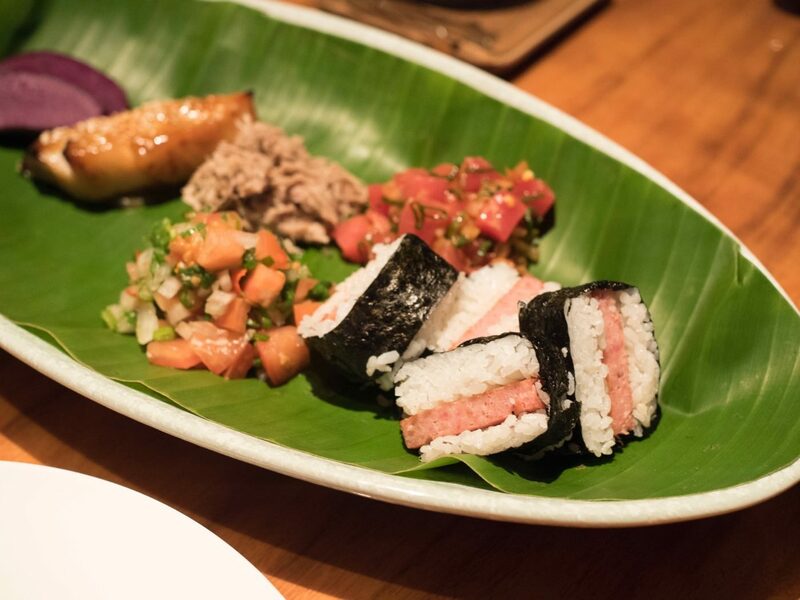 Available as an upgraded main course for daily lunch, this was an indulgent take on a classic plate lunch in Hawaii, almost like a supreme Hawaiian plate lunch. Like the Loco Moco, this is usually a ‘cheap’ meal that locals eat on a daily basis in Hawaii. The Kalua pig was spot on. Tender, smokey pulled pork, refreshed with the Lomi Tomato which is a sort of salmon and tomato cold salad. 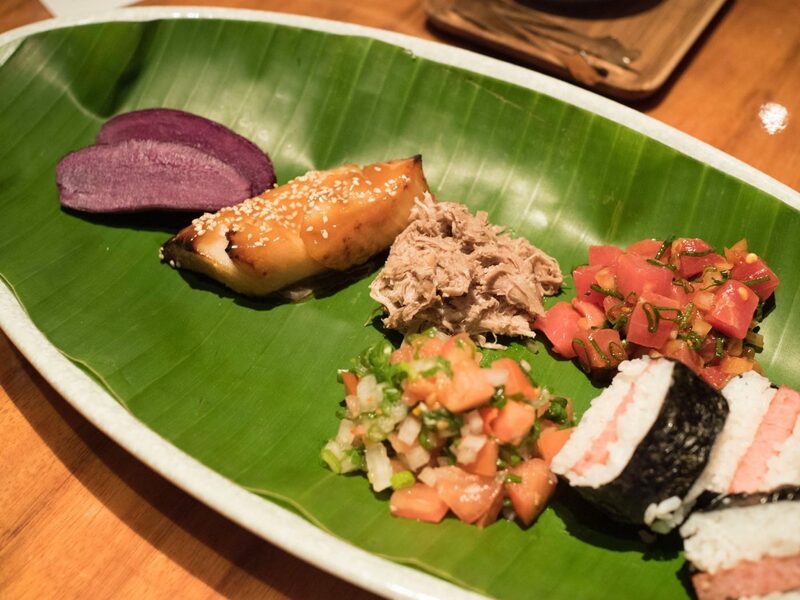 The Ahi Poke featured fresh tuna cubes in a refreshing vinaigrette. The miso cod was so, so good. Tender, flaky, oily, accented with a slight char on the edges, sweetness from the glaze and a burst of flavour from the sesame seeds. This was what I came for! It looked textbook perfect on the plate! Perfect sunny side up? Check! Pool of thick viscous gravy? Check! Nice hefty beef patty? Check check check!! The version at Alan Wong’s Shanghai is served with Kimchi fried rice, as opposed to plain white rice. The beef quality was great, with a nice char. The gravy, abundant and mouthwateringly rich. I felt the Kimchi fried rice was too flavourful on it’s own, and drowned out the gravy, eggs and beef. Yes, often, too much of a good thing becomes a bad thing. 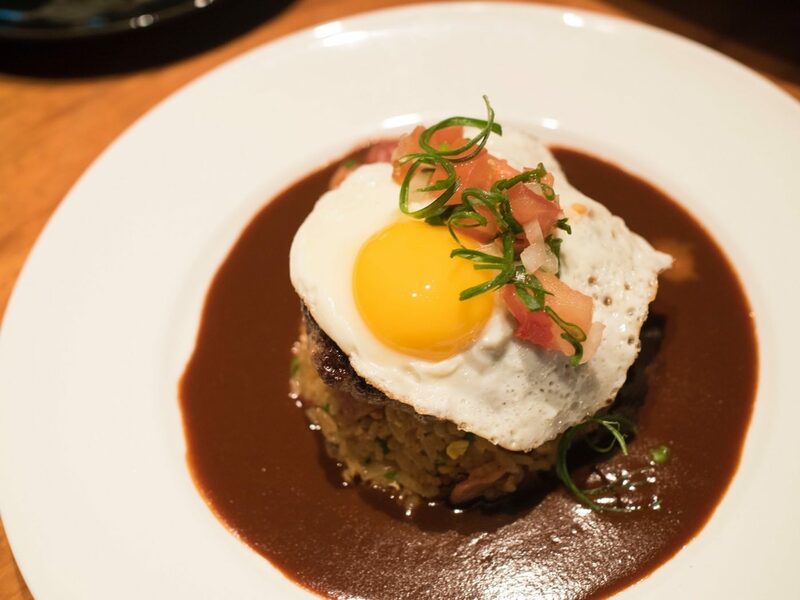 The draw of Loco Moco is that seductive mix of egg yolk, charred beef patty, rice and gravy together. 4 simple things that assemble together into greatness. 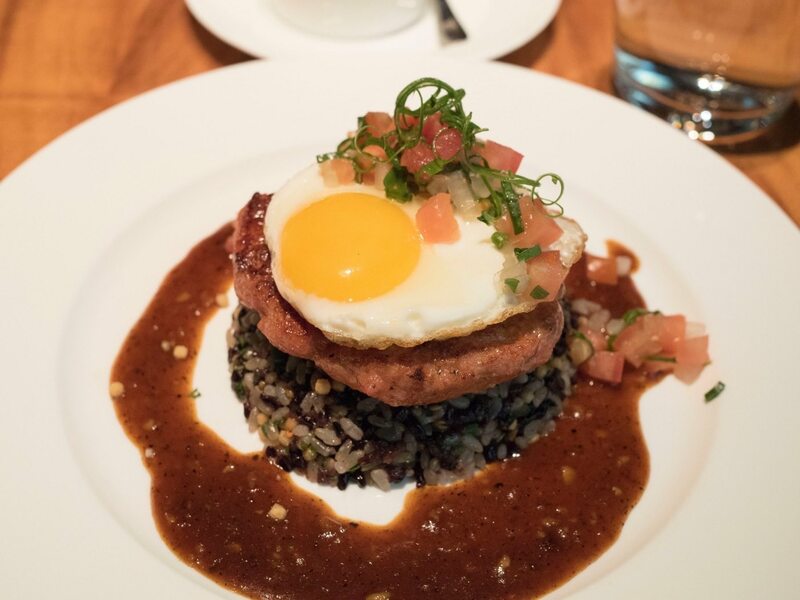 So on my second lunch visit, I found to my dismay, the beef Loco Moco had been replaced with a new Portuguese sausage Loco Moco. Portuguese sausage is also a staple in Hawaii, and is sort of like a cross between spam and chorizo. 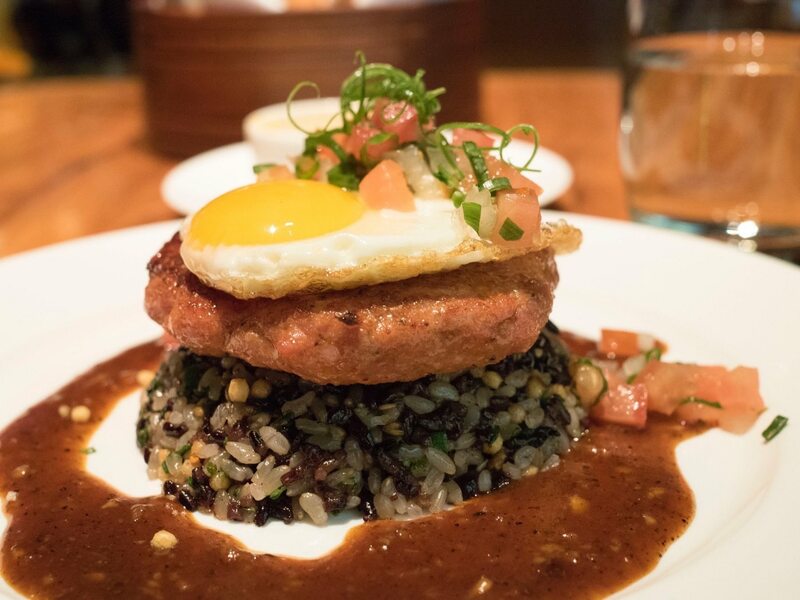 At the same time, I was happy that Beth had taken my feedback about the Kimchi fried rice being too much, and replaced the Loco Moco with a less show-grabbing brown rice mixed with Japanese rice, crispy rice puffs and Furikake. 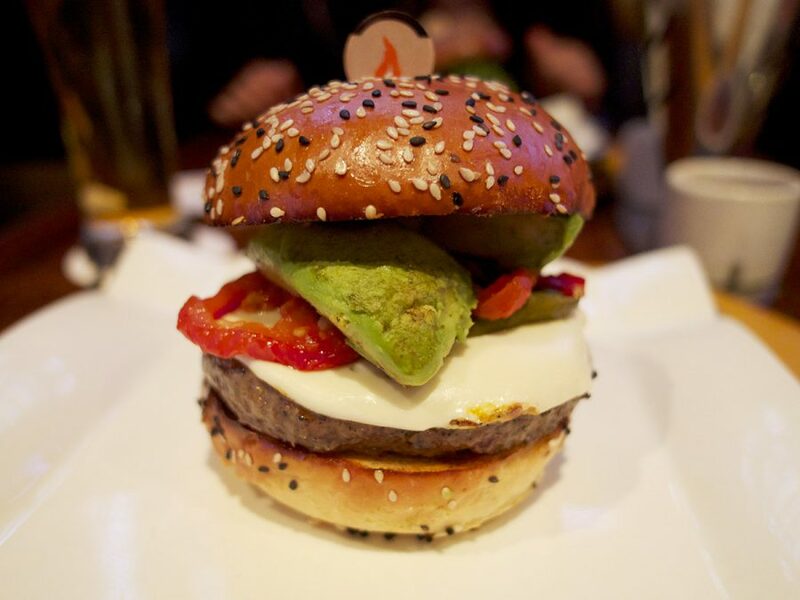 Amazingly enjoyable to eat. The black pepper gravy while decent, was a bit of a let down for me. There wasn’t enough gravy to create a slushy mess on the plate together with the sausage, which tasted like processed meat (which it kind of is). My perfect Loco Moco would be the beef loco moco with this rice. I think that would be a ten-ten. 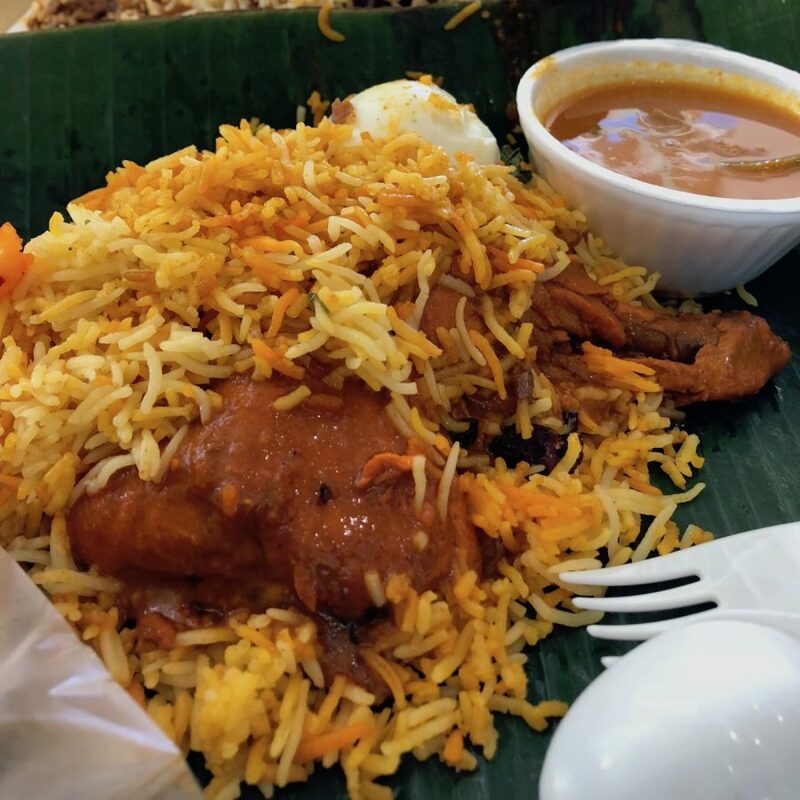 This version gets an 8/10 for me, largely due to the rice. 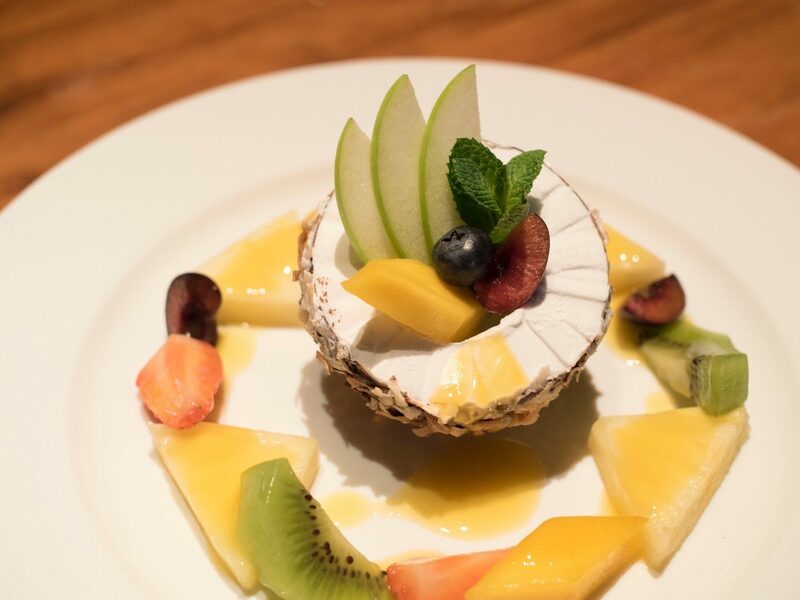 This is the signature dessert at Alan Wong’s, which I have also had in Hawaii. 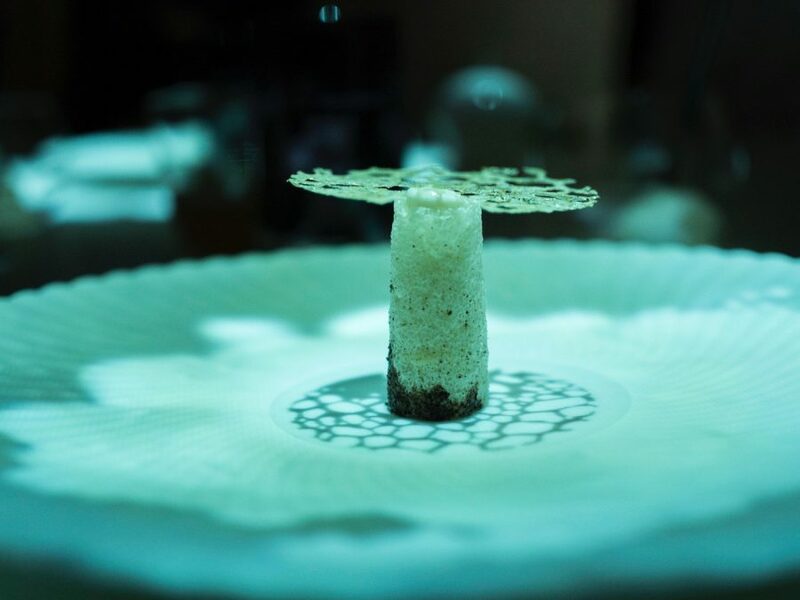 The presentation was simply stunning, and though I’ve seen many other restaurants try to replicate it, the one at Alan Wong’s is still, the, best. That said, I found the coconut ice cream a little too cold/hard, and was a little difficult in breaking apart. 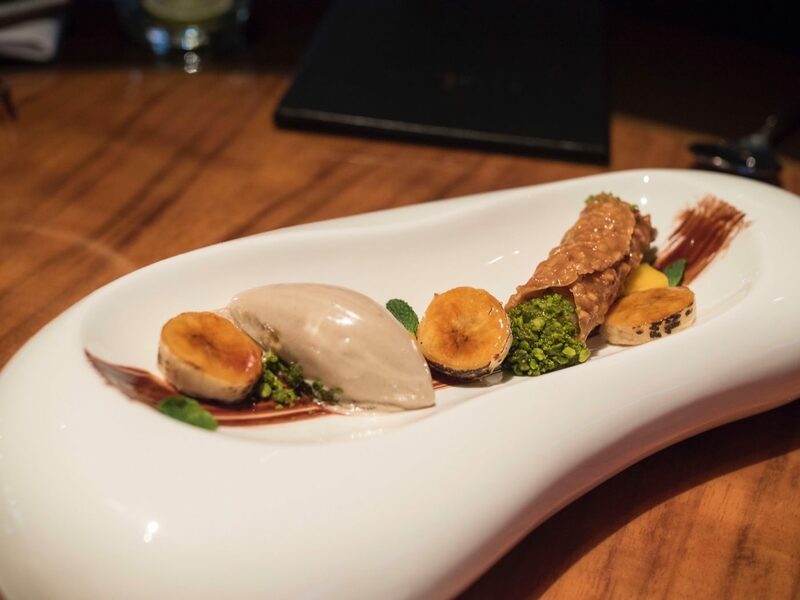 Interesting mix of mangoes and bananas in the crispy cannoli, paired with banana ice cream and torched-caramelised bananas. 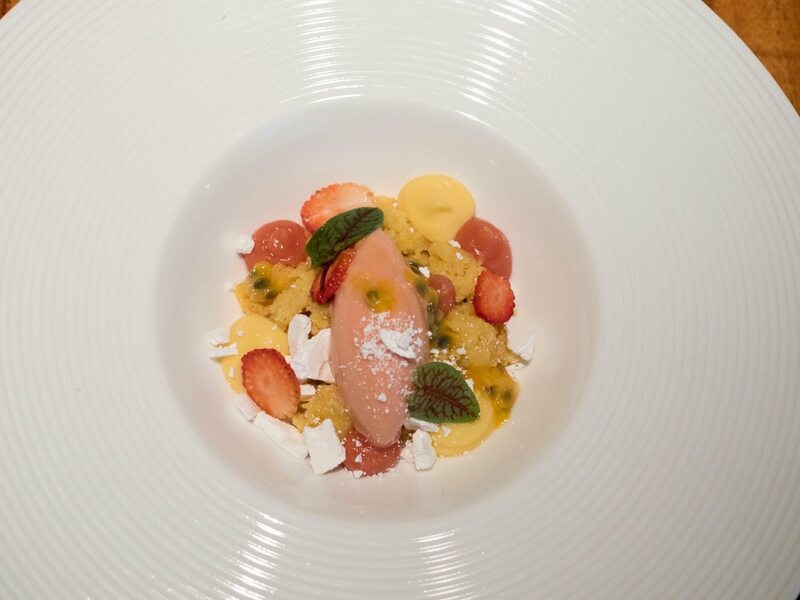 This was a dessert for the special dinner event that weekend. Luckily, it made it to the lunch set menu on my second visit, though presented differently. P.O.G stands for Passion Fruit, Orange and Guava, which is a popular combination of fruits for drinks and stuff in Hawaii. The plating of the P.O.G desserts I had on both visits were different. 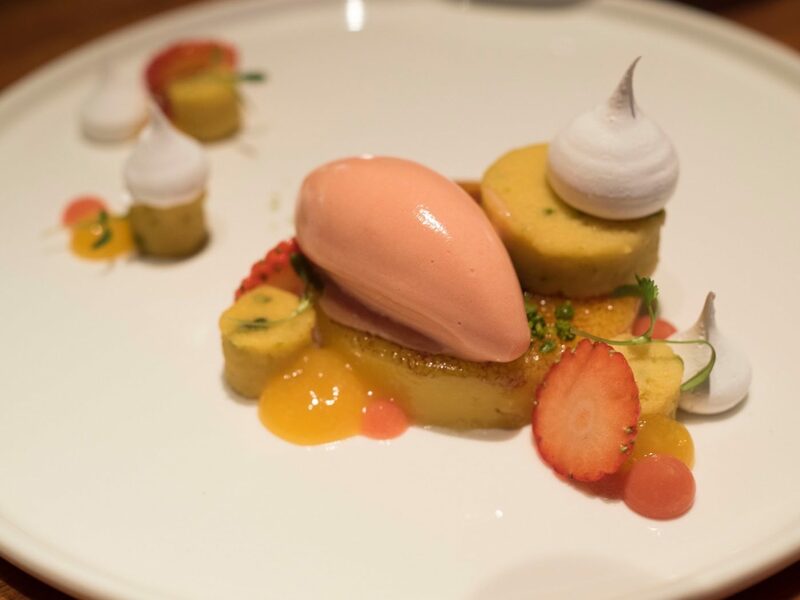 Version 1 featured passion fruit on the bottom, topped with an orange cake and paired with guava sorbet, with P.O.G gels on the side. That concludes this rather epic coverage of Alan Wong’s Shanghai. 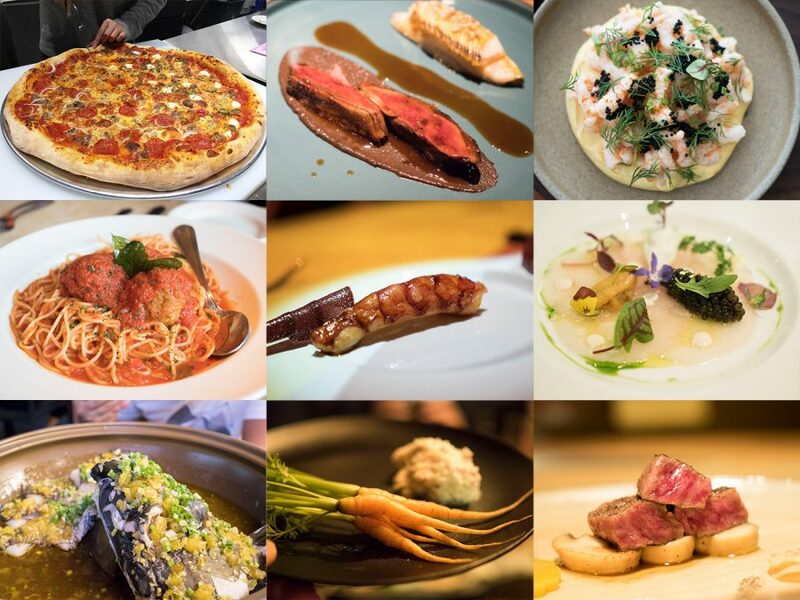 I am really impressed with what chef Beth Cosgrove has done in the kitchen, the amount of effort in producing unique house-made ingredients together with really complex dishes.